This contract is between the above named person (“the client”) and PP Travel (Kozzie Travel Ltd, trading as PP Travel). PP Travel will process the financial part of your package. 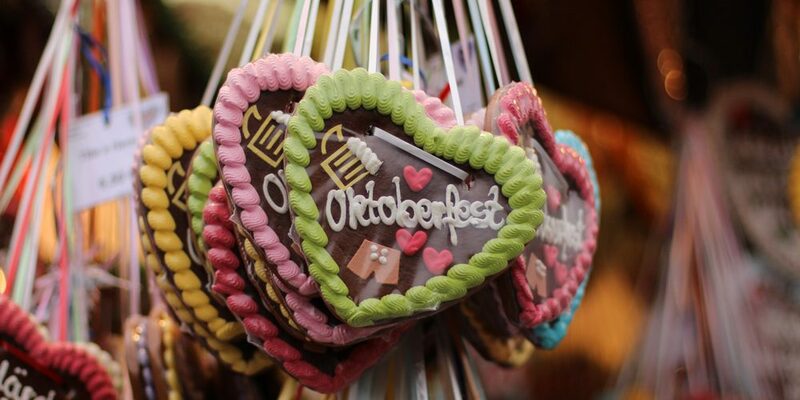 Oktoberfest Reservation, market and fully operate the packages at Munich’s Oktoberfest. Please read these conditions carefully as they set out our respective rights and obligations. In these Booking Conditions, “you or the client” means all persons named on the booking “We” means PP Travel. These booking conditions relate directly to Oktoberfest Reservations and no other tours operated by PP Travel. Oktoberfest reservation package booking cannot be confirmed until full payment has been received. The person making the booking is over 18 years of age and must be authorised to make the booking on the basis of these booking conditions by all persons attending the Oktoberfest for the booked Oktoberfest reservation package. The Oktoberfest reservation package booking is administrated by and run by Oktoberfest Reservation. If you need to discuss your booking in any way you need to contact Oktoberfest Reservation (office@okotoberfestreservation.com). Once advice of full payment has been received and processed by PP Travel, we will immediately send out confirmation of your Oktoberfest reservation package booking. PP Travel holds all Oktoberfest Reservations package booking funds in trust until the completion of the Oktoberfest in Munich. So all bookings a secure and safe. Enquiries and correspondence: After receiving confirmation from PP Travel, all further queries and the operation of your package will be handled by our Munich Oktoberfest experts at Oktoberfest Reservation (office@okotoberfestreservation.com). Please contact them immediately if any information which appears on the confirmation or any other document appears to be incorrect as it may not be possible to make any changes later. We regret we cannot accept any liability if we are not notified of any inaccuracy in any document within 7 days of our sending it out. Except for booking made within 14 days of your reservations, a binding contract between PP Travel and the client automatically comes into existence 5 days after we dispatch out a confirmation invoice to you. If you do not wish to accept our Booking Conditions (which will accompany our confirmation invoice) or for any other reason go ahead with the booking, you may cancel it and have your money back providing the party leader tells us in writing before this 5-day period expires. For bookings made 10 days or less before a reservation a binding contract comes into existence when payment has been made. For your Oktoberfest reservation package booking will provide you with exact information about meeting time and meeting point. It is very important that you be at the meeting point at the given meeting time. If you are not at the meeting point 30 minutes after the given meeting time you will lose the right of your reserved seat or reserved table inside the tent as well as your entrance pass(es) to the beer tent of your reservation. It is not possible to offer refunds of any kind to groups that are not at the meeting point at the given meeting time. Change of booking by you – If you wish to make changes to your Oktoberfest reservation package booking you must contact Oktoberfest Reservation (office@okotoberfestreservation.com). More than likely changes will not be possible but Oktoberfest Reservation will endeavor to help where possible. Please be aware that if your Oktoberfest reservation package booking can be amended it is likely that the price may change. Cancellation of booking by you – Cancellation of your booking must be made in writing to Oktoberfest Reservation (office@okotoberfestreservation.com). As we incur costs from the time we confirm your booking and maybe unable to re-sell your booking, the following cancellation charges will be payable. Where the cancellation charge is shown as a percentage, this is calculated on the basis of the total amount paid. Depending on the reason for cancellation, you may be able to reclaim these cancellation charges (less any applicable excess) under the terms of your insurance policy. Claims must be made directly to the insurance company concerned. The dates refer to the same year the booking was made for. We consider adequate insurance to be essential and we recommend that you take out insurance to cover your trip. You should ensure that any insurance policy covers, as a minimum, the cost of cancellation by you, and if you are travelling outside of your home country, the cost of medical assistance and repatriation. – A change from a big tent to a smaller tent or the other way around. – A change of a specific tent among the same category (a change from one big tent to another big tent). – A change of a location inside the same tent (e.g. from balcony to ground floor). Please note, the above options are not available where any change made is a “minor change”. For a minor change there is no claim to any refund. Cancellation of booking by Oktoberfest Reservation – If in an unlikely event that your booking had to be cancelled by Oktoberfest Reservations, you would be entitled to a full refund of any payments made to PP Travel. No other compensation or refunds would be due or liable to be paid. We regret we cannot accept liability or pay any compensation where the performance or prompt performances of our contractual obligations is prevented or affected by “force majeure”. In these Booking Conditions, “force majeure” means any event which we or the supplier of the service(s) in question could not, even with all due care, foresee or avoid. Such events may include war or threat of war, riot, civil strife, terrorist activity, industrial dispute, delays due to coach break downs, natural or nuclear disaster, adverse weather conditions, fire and all similar events outside our control. You must be aware that the Oktoberfest is a beer festival with many people engaged in drinking a lot of beer. People sit on bench seats that can be quite narrow and at times with poor sitting comfort. You may find seating cramped with you neighbouring table. Seating within the tents is the same for everyone. It is not possible to offer any better seating with any of the beer tents, nor any privileged or private area. If you have a complaint in relation to your table reservation, you must tell your Oktoberfest Reservation hostess at the time the issue occurs, as most problems can be solved on the spot. If the matter cannot be resolved locally at the time, then please write an email to Oktoberfest Reservation at office@okotoberfestreservation.com within 28 days of your table reservation booking. This will help us to quickly identify your concerns and speed up our response to you. We regret we cannot accept liability in relation to any complaint or claim which is not notified entirely in accordance with this clause. When you book with us, you accept responsibility for any damage or loss caused by you or any member of your party. Full payment for any such damage or loss must be paid at the time direct to the aggrieved party. If you fail to do so, you will be responsible for meeting any claims (including legal costs) subsequently made against us as a result of your actions. We expect all clients to have consideration for other people. If in our opinion or in the opinion of any other person in authority, you or any member of your party behaves in such a way as to cause or be likely to cause danger, annoyance or distress to any third party or damage to property, we are entitled, without prior notice, to terminate the holiday of the person(s) concerned. In this situation, the person(s) concerned will be required to leave the accommodation/ tents or other service. We will have no further responsibility towards such person(s) including any return travel arrangements. No refunds will be made and we will not pay any expenses or costs incurred as a result of the termination. If you have any special request, you must advise us in writing at the time of booking. Special requests cannot be guaranteed and failure to comply will not be a breach of contract. If you or any member of your party has any medical problem or disability which may affect your Oktoberfest reservation package booking, please tell us before you confirm your booking so that we can advise as to the suitability of the chosen arrangements. In any event, you must give us full details in writing at the time of booking. All personal items taken into the beer tent is the full responsibility of each person. No responsibility will be taken by Oktoberfest Reservation or PP Travel for any losses of personal items at any stage prior to, during or after your table reservation period. Please ensure you have adequate travel insurance to cover any unfortunate losses.